Note: This website is a part of our Premium Digital Video advertising product, which is designed to create better reach extension for your message. It is delivered with other premium sites and may or may not be a part of your schedule based on your stated campaign goals. We do not represent this site and it cannot be purchased individually. AOL's content contributors consists of over 20,000 bloggers, including politicians, celebrities, academics and policy experts, who contribute on a wide range of topics making news. The group's video content offers channels in news, entertainment, style, tech, business, food, home, travel, health, autos, parenting, relationships, video games and pets. 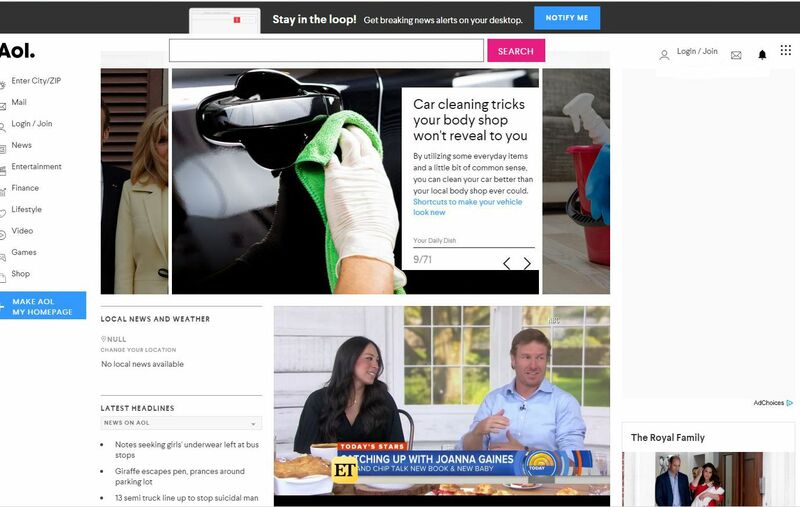 AOL.com is one of the many brands under the parent company, Oath. It's a promise, a vow, a commitment to do something important. Oath represents the commitment they've made to building brands and it honors the promises they make to each other, our partners, clients and the world every day. Other content brands in the family include Yahoo!, Huufpost, TechCrunch, Engadget MapQuest and Moviefone. To learn how to advertise on our Premium Digital Video sites, please contact a Comcast Spotlight representative. "With Comcast we're able to see... analytics and how successful the ad's performing."